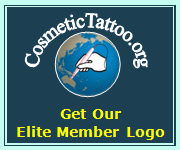 You can send message to us here at CosmeticTattoo.org by using the form below, if you would like to translate your message from another language into English click this link to open Google Translation and once you have translated your message copy and paste it into our contact form. In accordance with the Spam Act 2003 this contact form must not be use to send unsolicited marketing, offenders will be prosecuted. NB. Use this form to contact the directory support team, to contact a business listing please use the contact form on their individual listing in the directory. Be Patient Only Click The Send Button Once!